Not keen on skiing or snowboarding but love nature? 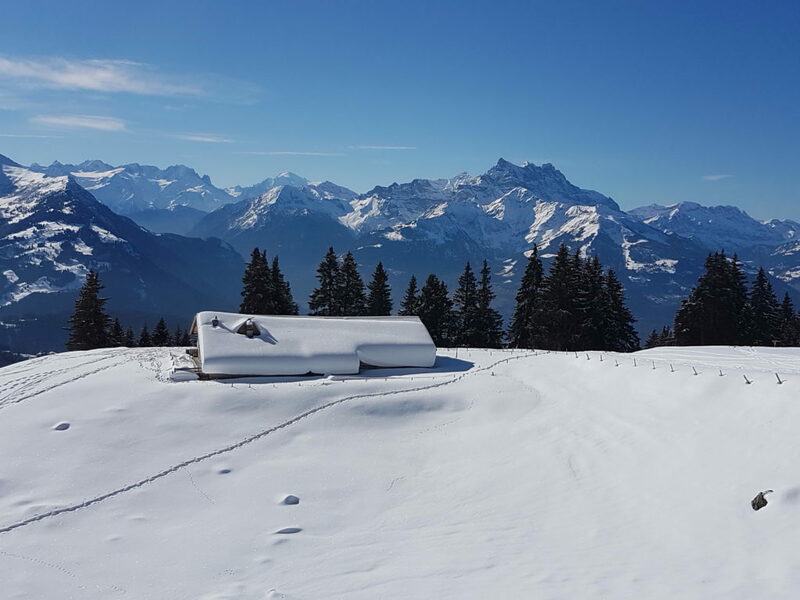 Or perhaps just wish to take a day off the slopes to discover unspoilt, tranquil surroundings on foot or by snowshoe, avoiding the hustle and bustle of ski lifts and ‘wannabe’ racers on the pistes. Immerse yourself in the wintry splendours of magnificent panoramas and with a bit of luck, spot foxes, hares, eagles and more wildlife in their natural habitat. Witness the spectacle of peaks glowing red at dusk before switching on your headtorch for an easy snowshoe trek to the cosy ambience of a refuge serving up piping hot, local dishes. Complete the experience, snowshoeing or tobogganing back down. 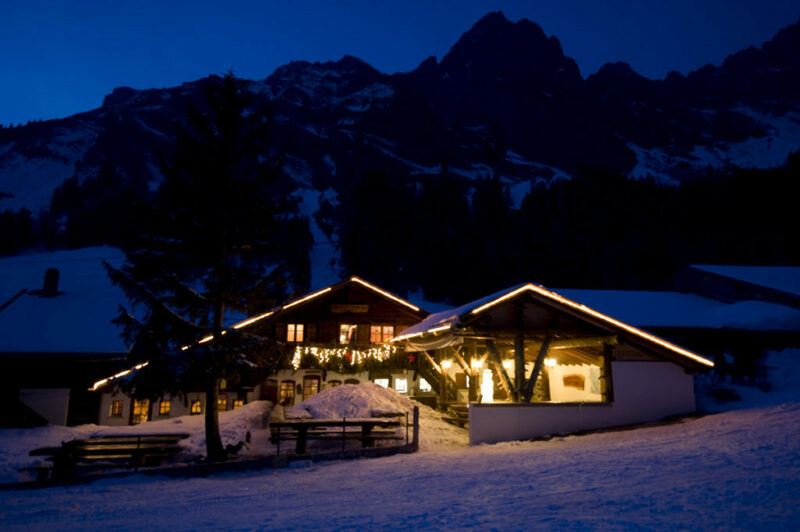 Price: as of CHF 150.- (approx €132) per person, traditional meal included, depending on group size. Discovering how mountain hamlets transform under snow in the sleepy silence of winter.